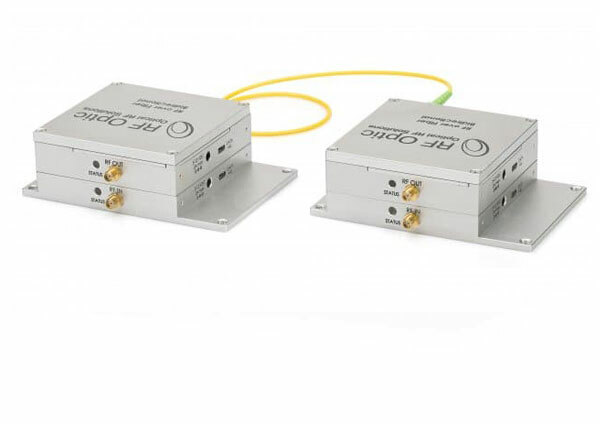 RFOptic has developed an innovative compact bidirectional (2 way) RF over Fiber (RFoF) transceiver at 2.5 GHz, 3 GHz and 6 GHz. It is comprised of an uplink of Tx and Rx (at 1550nm) and a downlink of Tx and Rx at 1310nm. The transceiver employs WDM technology to use only 1 fiber link instead of 2. An optional control card for SNMP remote management might be added at a later stage.